20% of students drop out in the first year of College. In 2016, 23,931 new students entered the 3rd level education system in Ireland, by the end of the year more than 6,000 of them had dropped out. Why are there such a high number of dropouts during first year of college education? Is it because they made the wrong choice? Is it pressure from parents that forces students into courses that don’t suit them? Could financial problems cause a change of heart? The Circular looked closely at this phenomenon in relation to Institutes of Technhology as a subset of 3rd level Colleges. The picture in these Institutes is that in 2013, more than 1 in 5 students who started a course did not progress to the second year. 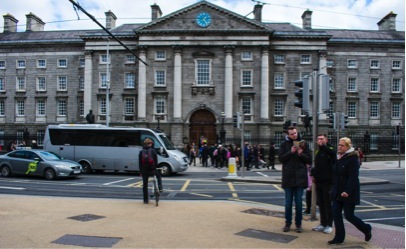 According to the report called ‘Why Students Leave’, published by the National Forum for Enhancement of Teaching and Learning in 2015, the primary reason offered by students for withdrawal was wrong course choice – they had chosen a course during 6th year in school that ultimately did not suit them. The last term of secondary school is a period of intense pressure for students because of exam preparation and perhaps this is not the right environment for making a further education/career choice. I interviewed Mike Murphy, the Academic Registrar at the Dublin Institute of Technology, on why students drop out of college. “One of the things I’ve seen over the years is very often students don’t choose the right course, they don’t really examine what it really means to do the course, what subjects they are going to have to study, what type of assessments they will have, and what type of exams there going to have.” What this means is that some students (as many as 20%) who enter 3rd level education through Institutes of Technology are not well prepared for what is going to face them. If ITs are taking-in less well-prepared students, the question is whether we are giving them the academic environment and the support they need for them to succeed. “The ITs take in less-prepared students but get the same amount of funding as the Universities, it costs more money to educate a class full of less-prepared students to give them all the supports they need.” said Murphy. His (Murphy) theory is that if an institution takes in less well-prepared students, then it should be giving them more help. How do we reduce this problem? Does more need to be done in secondary schools to prepare students for the college experience? Murphy had some useful suggestions about how to tackle this difficult problem, “what I have seen from experience is that a lot of Guidance Counsellors are really just teachers that are doing guidance counselling on the side and they don’t have a lot of time to see what colleges are offering, what new programmes there are”. So, secondary schools need dedicated resources for guidance counselling, “we could probably support the teachers better by giving them better advice and the colleges having better links back to schools”. The USI- Union of students in Ireland, back up this call for further support in secondary level guidance counsellors to support school leavers in making the jump to third level. 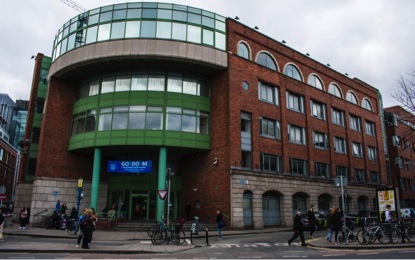 USI Deputy President Jack Leahy said on the matter, “Students were telling us that even though they may have attended open days and studied the prospectus, the course they were studying was often quite far from what they had expected. This can relate to course content, teaching hours, job prospects and more.” The courses in Ireland with the highest dropout rates were: Computer Science, Construction (Management) and Engineering. Leahy goes on to say that, “we had expected the issue of finance to be the top reason (for drop out) but it was a perceived inadequacy about the information they had received about their course” – the courses did not meet the expectations of the students. Is it just a coincidence that most dropouts take place at Christmas? Murphy’s opinion on this question was, “the evidence would be that most students drop out of first year and it’s often the case that whether or not a student was thinking of dropping out before Christmas it is very often the Christmas break is where they break”.